Hainan's Rules: “Normal and Routine” or “Provocative and Dangerous”? Plus, China’s space program, private banks, and bleak prospects for political reform. Friday China links. When it comes to China, little issues can have big ramifications. As a case in point, everyone’s talking about a series of provincial fishing regulations passed by China’s Hainan Province. 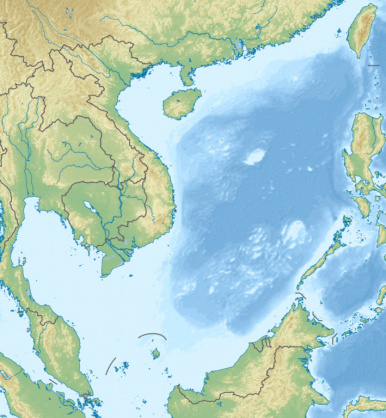 The regulations are of international interest because Hainan claims maritime jurisdiction over much of the South China Sea, and the new regulations require foreign fishing vessels to request permission to enter this area. Chinese Foreign Ministry spokesperson Hua Chunying told the press that Hainan’s amended fishing laws were “completely normal and routine” and were designed to protect and develop fishery resources. Still, at least one Chinese expert immediately acknowledged the political ramifications of the move. Shi Yinhong, a professor of international relations at Renmin University, told Reuters that he believes the move was a veiled warning to other countries in the region to keep on Beijing’s good side. “If ties are good, the regulation may be loose. If not, we will practice it strictly,” Shi said. U.S. State Department spokesperson Jen Psaki told a press conference that Hainan’s fishing restrictions were a “provocative and potentially dangerous act.” Psaki further added that “China has not offered any explanation or basis under international law” for its “extensive maritime claims” in the South China Sea. In response, a commentary in Xinhua called Psaki’s remarks “unreasonable” and accused the U.S. of “resorting to the old trick of ‘divide and rule.’” The article urged Southeast Asian countries to see through the U.S. “ambition to manipulate Asian affairs.” For China, Psaki’s comments are just one more example of U.S. interference in the region, dating at least as far back as Hillary Clinton’s unexpected emphasis on the South China Sea disputes at the 2010 ASEAN Regional Forum. Writers at The Diplomat also analyzed the new fishing regulations. M. Taylor Fravel pointed out that Hainan’s regulations actually contain language already included in China’s 2004 fisheries law. Accordingly, we should not misinterpret the rules as a change in policy. Fravel also noted that, aside from the attention-grabbing provision on foreign fishing vessels, the rest of the rules are quite mundane: “Various topics include fish-farming, fishing methods, the protection of fish stocks and so forth.” Meanwhile, James Holmes wrote that the Hainan regulations are another example of China’s “small-stick diplomacy,” wherein the government uses the Coast Guard and other law-enforcement vessels to stake its claim to contested regions. Xinhua reported this week that China plans to set up fully private banks in 2014. The initial group will be limited to three to five banks, but this is considered a trial to explore the possibility of allowing more domestic and foreign capital to enter China’s banking sector. The Shanghai Free Trade Zone is the obvious starting point for this experiment. On a related note, writing for the China Media Project, Qian Gang analyzes China’s political discourse in 2013. He finds that “light blue” terms such as “universal values,” “constitutionalism” and “civil society” have been under attack, with more and more of them becoming full-on sensitive terms. By contrast, Qian finds that use of the phrase “Mao Zedong Thought” nearly doubled in 2013. These two trends confirm the argument that Xi is seeking to consolidate Party control, rather than loosening it through reform. How might events during the past year foretell Beijing’s actions for 2018?